A New York City teacher was arrested for allegedly hitting a student in the face with a book, police said. Loretta Myers, 48, allegedly struck the 9-year-old boy in the face with a book on Jan. 31, the NYPD said. 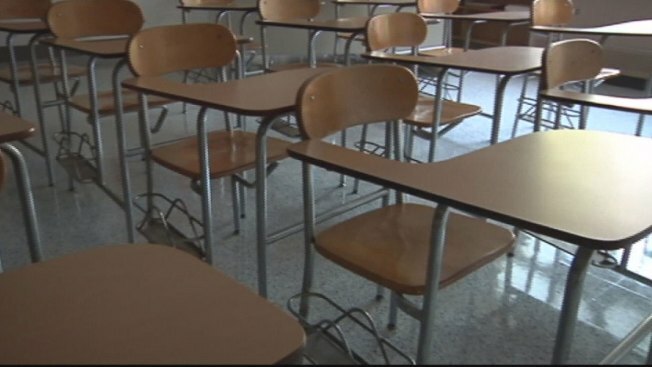 The Department of Education employee was arrested on Monday after the boy’s mother decided to press charges following a remediation, police said. The alleged incident took place at P.S. 253 in Queens, the NYPD said. Police didn’t provide additional details about the incident, and it wasn't immediately clear what injuries the boy sustained. Myers has been charged with second-degree assault, acting in a manner injurious to a child under the age of 17, criminal possession of a weapon and harassment, according to police. Her attorney information wasn’t immediately available Monday.